After Larita Filton (Isabel Jeans) is unjustly accused of having an affair, her husband divorces her and she flees to the South of France to escape the publicity. There, she falls in love and hopes to start afresh – but her would-be fiancé’s mother has other ideas when they find out about her past. 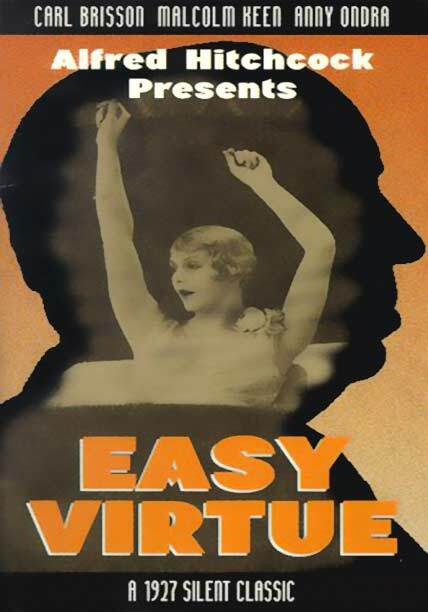 Although regarded as one of Hitchcock’s lesser films (not least by the director himself), partly owing to censorship that limited the original play’s critique of sexual mores, Easy Virtue nevertheless contains some witty visual flourishes.